There will be a CPE Seminar on April 15, 16, and 17, 2011 for real estate brokers who need to earn 24 CPE credit units because they want to get registered with the PRC without having to take the examination again. UPDATE: Venue is definitely Makati. When is the next schedule for CPE for salespersons ? Preferably in Makati. and join the Announcement List. will there be a cep seminar this may? [From the Admin] Yes, there will be a CPE/CEP Seminar in either Makati or Cubao, in late May 2011. FYI: Reservation for the CPE is officially CLOSED. SLOTS ARE ALREADY FULL. For those who were able to secure their reservations by APRIL 8, you should be getting a confirmation text from our Academy. If not, please contact Roal IMMEDIATELY. WALK-INS WILL NOT BE ENTERTAINED. Thank you for your continuous patronage to our Academy! God bless! Confirming the venue for the CPE @ Cityland Tower 1 Makati, Unit 2114, HV Dela Costa Street, Salcedo Village, Makati City. Only 10 slots remaining, so please call our office and RESERVE NOW! (First come first serve basis only). We are waiting for the PRC to announce when the next real estate brokers’ licensure exam will be held. For the RESAR Online Review, please join the RESAR Online Review Announcement List, and important details will be sent to you via email. [From the Admin] Hi! It is also open to other real estate practitioners and also to real estate salespersons. For more details, please visit http://www.RealEstateCPE.com and sign up for the Real Estate CPE Announcement Group, and more details will be emailed to you. [From the Admin] We do not have an online review for appraisers. Some review service providers might offer CREASATs in April or May. Once we get the info, we will publish their schedules and fees online. do you have review centers in cebu? [From the Admin] Hi! 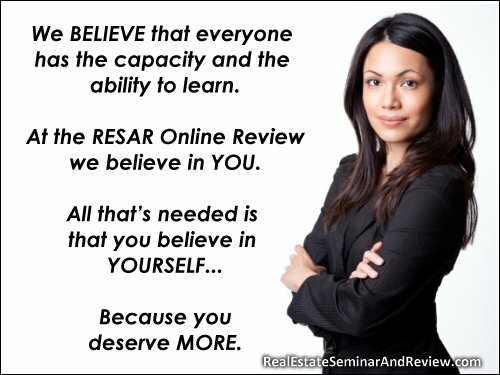 If ever real estate review seminars are organized in Cebu, we will publish the details online. Thanks!